A woman in Georgia has an important message for all of you road-trippers out there trying to get one last long drive in before summer’s end: get your damn feet off the dash. It’s a compelling message, especially when delivered by someone who now has six screws and a metal rod in her leg. Two years ago, Audra Tatum was sitting in the passenger seat when the family car T-boned another one at an intersection, News Channel 9 reports. She was resting her foot on the dash at the time and wasn’t wearing a seatbelt. When the air bag went off, it did... exactly what you’d expect it to do. “When the airbag exploded, it pushed my foot up into my face,” Tatum told News 9. Stay with that mental picture a moment. 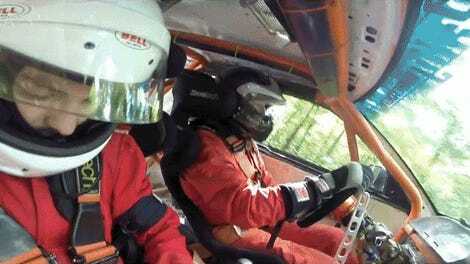 Air bags need to explode out of the dash at a fantastic speed. It literally needs to be faster than your head going forward in the milliseconds after a crash, which, by the way, is the speed of the car you’re riding in. Air-bag delivery systems were based on the compressed air units that launched torpedoes in WWII. We’re talking that much force. Which means: her own foot came flying at her face at least faster than 45 mph. Her own foot crushed the bones in her shoulder and face. 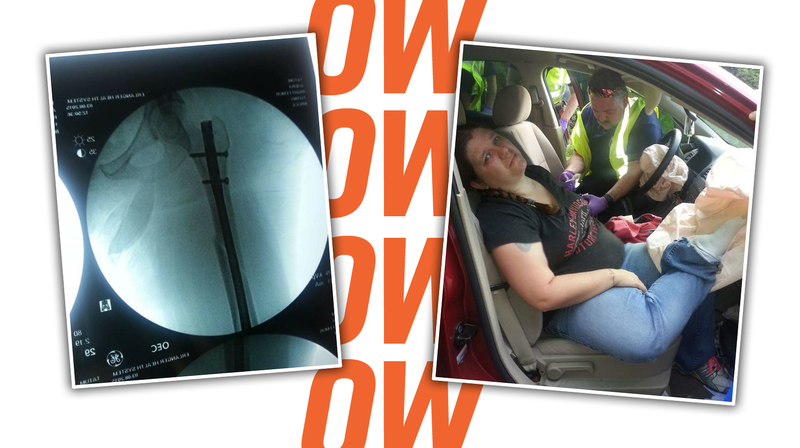 Her femur shattered in four places. Doctors told Tatum that if she hadn’t had her leg up on the dash, she would have walked away from the crash. OK. Now come back to me. You’re never going to ride with your feet on the dash again right? RIGHT?